With Apple’s recent unveiling of OS X Mountain Lion it’s no surprise that we had plenty to talk about. A whole hour’s worth of chatting, in fact. Allison is loads of fun to talk with, and without her self control to cut our conversation off after an hour we’d probably still be talking. Days later. Really. Interested in hearing what I have to say about more iOS features showing up in OS X, Gatekeeper, iCloud, Notification Center, and some rabbit holes we couldn’t help but head down? 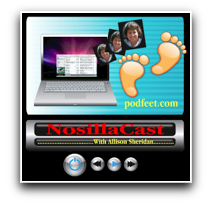 Then point your browser over to Allison’s Podfeet.com website and take a listen. Or go the the iTunes Store. Whatever. I’m easy.